The chill in the air has started & Lock Top Dampers may be your solution. While that may be great as you enjoy the outdoors, you want to be “snug as a bug” while in your home. Have you noticed cold drafts by your fireplace even on non-windy days? Having trouble keeping the room warm where your fireplace is located? During the summer does the same room feel warmer then the rest of the house? Does your HVAC system seem to run constantly? This can happen in many homes even when the damper is closed. A lot of questions, I know, my apologies! The damper plate inside the fireplace, usually controlled by a handle, is designed to allow combustion materials to escape or prevent air from entering or exiting your home. If you don’t have a damper at all you may as well cut a 27”x7” hole in your wall, and that’s an average size damper. Even with the damper closed, it’s a “steel on steel” seal. It will never be complete seal and it will allow some air to enter and escape. Some dampers have been installed improperly when the fireplace was built, or have warped over time causing gaps that allow greater air flow. At MJL Services Chimney/Dryer Vent, we have the solution, a lock top damper. 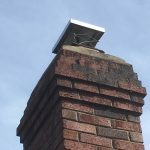 A lock top damper is installed at the top of the flue stack and is controlled by a wire that is installed inside the firebox. These come in several styles and improve the efficiency of your home by reducing airflow in and out of your home. Better still, they are made with durable stainless steel and come with limited lifetime warranties. The cost up front will be saved by years of reduced utility bills. 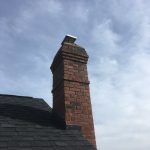 Contact MJL Services Chimney/Dryer Vent 704-288-7316 today, to discuss options to help improve the efficiency of your home.